Droom, an online marketplace for new and used cars as well as aeroplanes, said it has raised $30 million (Rs 204 crore) in a Series D round led by Toyota Tsusho Corporation and existing investor Digital Garage (of Japan). The platform, which aims to launch an initial public offering (IPO) next year, also said it would deploy the proceeds for boosting marketplace AI. Ellison Investments, existing investors as well as several institutional investors and family offices from China, Hong Kong and South East Asia had also participated in the round, said Gurugram-based Droom Technology Private Limited, owner of the online platform. 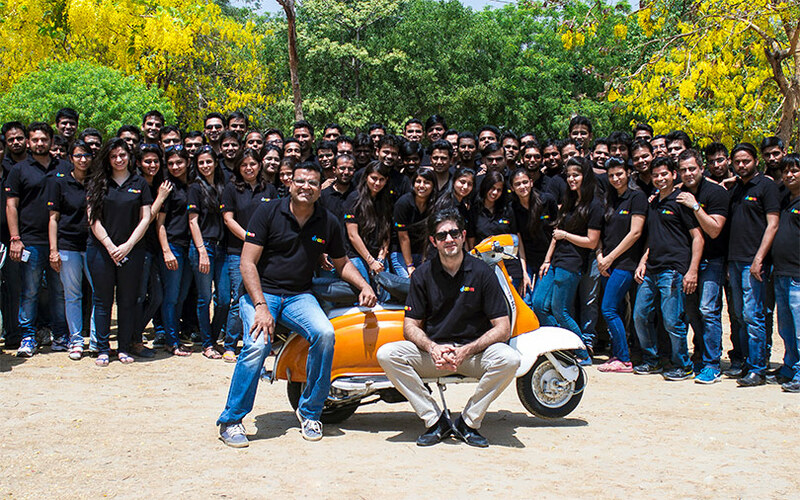 Since its launch in April 2014, Droom has raised more than $90 million in external funding. Droom, which claims to have 27.3 million monthly visitors, said the fresh funds will be used to boost its market share, which it claims stands at 70%. Moreover, the platform aims to double its gross merchandise value to $1.4 billion by the end of 2018 and to $3.5 billion by 2019-end. In the online used-automobiles space, Droom competes with Truebil, Zoomo, CarDekho (which had acquired Gaadi.com), Carwale and CarTrade. People-to-people platforms, such as OLX and Quikr, too, share the same space. With the funding, Droom said it would develop artificial intelligence (AI) and machine learning (ML) capabilities of its marketplace platform. "We were heavily invested in data science but now we have decided to take it to the next step by incorporating AI into the platform. We are looking at AI from multiple use cases so that we can reform the customer (buyer and seller) experience on the platform," Sandeep Aggarwal, founder and CEO of Droom, told TechCircle. Further explaining the use of AI and ML, he said that the company was planning to use them for key aspects such as vehicle markups, selling intelligence, creating better credit risk engines and operational expertise in running promotional campaigns. Markup is an increase in the price of something based on the difference between the cost of producing it and the price it is sold at. "We offer discounts from time to time but with AI infusion, the machine can automate the entire process by deciding whom to give the discount and how much percentage or under what conditions it should be offered," Aggarwal said, adding that the company was planning to gain more business intelligence on credit risk profiles using the new technology. "AI would ideally let the machine also control inventory decisions, depending on historical data of the car make and model. All of this will help streamline operations, bring down the cost of customer acquisition and provide better experiences," he explained. Aggarwal also said that to infuse AI the company will need to hire more employees. "Out of our 300-plus employees, more than half are engineers or product-oriented people. Having said that, we have decided to increase our headcount by another 110 members, of which at least 60% will be engineers," he said, adding that his company was using Amazon Web Services and Netmagic for cloud computing solutions. Droom has also signed a memorandum of understanding with Toyota Tsusho Corporation to expand internationally in South East Asia. Aggarwal said that the firm was looking to foray into nine countries: Indonesia, Vietnam, Malaysia, Thailand, Singapore, Cambodia, Myanmar, Laos and the Philippines. The company, according to the founder, has already hired a new international expansion team from India, which is expected to go to these markets and set up a new subsidiary there. "The team also has interns who will help with the international expansion, after which the firm will hire some local talent to support operations for the platform. But we will remain headquartered in Gurugram, where we will continue to build our brand and platform," Aggarwal said. Droom had received $20 million last July in a Series C round led by Integrated Asset Management (Asia) Ltd and Digital Garage. In July 2016, it had raised an undisclosed amount in a Series B round from venture capital fund Beenext, Digital Garage, Lightbox, Beenos, and others.